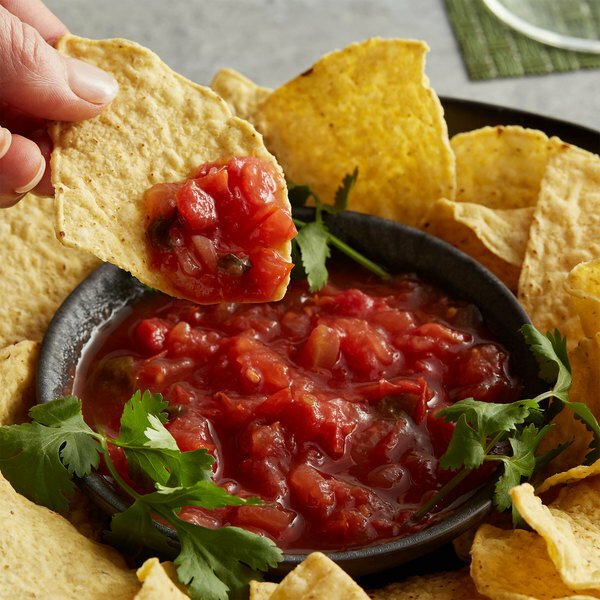 With Del Sol red Mexican salsa, you can serve an authentic home-style Mexican recipe that your customers will love. A selection of freshly diced red tomatoes, garlic, onions, and spicy jalapenos are blended together and cooked to create a thick flavorful red salsa. This delectable mixture of premium produce is the perfect complement to tacos, nachos, tostados, or any dish that could use a flavor kick. Made with the finest ingredients, Del Sol products provide an authentic home-style taste that your customers love. Save preparation time without compromising on flavor, and use this salsa in your Mexican restaurant, at your taco bar, or to spice up other menu items! This salsa is delicious! We like that you can open the whole can and then freeze it into portions that you can use later if you want. This del sol red Mexican salsa is most tasty, the whole family loves it. I will most definitely be buying this production in the future.!! Quality salsa and serves a lot! We use this salsa on a regular basis with chips and have also used it with ranch to make a salsa-ranch for salads. The del sol red Mexican salsa is great for adding to our taco soup. Love the can packaging for easy storage. The salsa is mildly spicy and nice taste. A nice quality red Mexican salsa that is great on our Mexican buffet. The salsa is a great quality and really bold and flavorful. A nice and easy way store in the large cans. A great salsa bursting with a fresh and wonderful quality flavor. It is perfect for serving with chips and quesadillas. 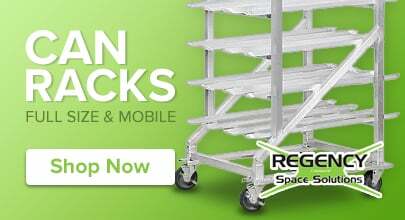 The can is great for easy storage and is a great value. wow who new you could geat such a great product online. fresh and great tasting. will be a big crowd pleaser on the nacho bar! i use quite a bit of salsa, so buying salsa in bulk made sense to me. i make homemade enchilada sauce using salsa, use it in casseroles, and in chicken enchiladas. i've found that salsa freezes very well in wide mouth (straight sided) canning jars -- just thaw overnight in the refrigerator, then enjoy. another great product at a very nice price, from webstaurantstore! A very economical salsa in a very sturdy tin can. This perfect for using it as a base salsa then adding fresh peppers and onions for a great tasting salsa. 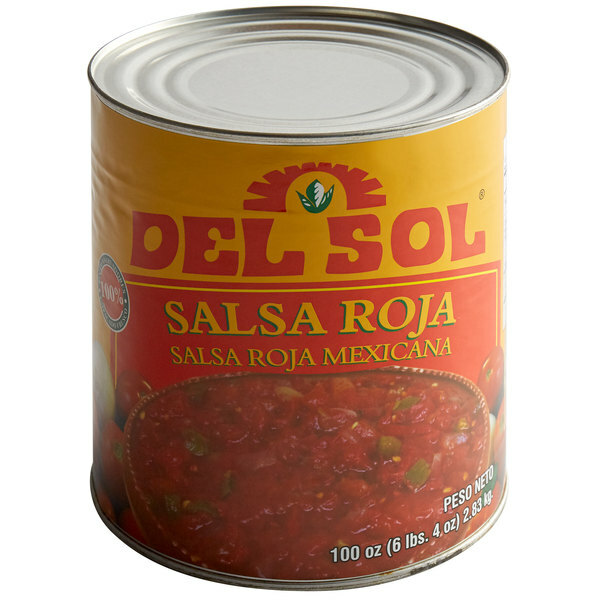 #10 Can of Del Sol Red Mexican Salsa is bland and needs additional items added to it. Del Sol salsa makes a great base salsa but of course needs onions, peppers, etc. added. This Del Sol Red salsa is great as it has a perfect blend of Mexican salsa taste comparable to other well known salsas out there. I bought this salsa to be a backup if we run out of our in- house salsa. After using it I realized that wouldn't work. I ended up blending it in with our regular salsa. It has a more watery consistency( like found in the cheaper Mexican restaurants)and the veggies were very coarsely chopped. It may work for some, but we were looking for a thicker salsa. I COOK ALOT OF MEXICAN FOOD AN IT IS A TIME CONSUMING TASK. TO MAKE MY LIFE EASIER I DISCOVERED A PRODUCT THAT TASTES HOME MADE AN SAVES ME HOURS IN THE KITCHEN. This salsa is delicious! It's good quality and even though it's a great price, doesn't seem cheap quality. We use it in our cafe and our customers love it. The sauce is delicious. Everything taste great with Salsa and nachos. Great to add to a sauce and also other entrees. Enjoy the flavor because it is good. This salsa is chunky and delicious. We like to eat it on chips or sometimes on homemade tortilLas. It also works great in Mexican stews. This is what we get and hubby ads spices and other can items for his hot salsa that everyone loves. The price is outrageous . Remember the things you want to add is also available right here. This salsa is not very tasty, kind of watery. Needs to be seasoned, especially with salt and little sugar. I guess it's better than nothing but I do not recommend this salsa. The salsa tastes very hot and full of peppers. I enjoy the salsa on chips, pizza, and in a drink. I highly recommend this product for its taste, price, and amount. This is about as convenient as it can get. The salsa itself is of reasonably good quality and quite spicy. We would recommend this product . This economical salsa is very Southwestern. It is traditional and basic and reflects very well its Mexican heritage. Great for chips, enchiladas, rellenos, tacos, burritos, and any Mexican fare. The Del Sol Red Mexican Salsa tastes great. I like to buy it in bulk so I always have some on hand. The price just can't be beat. I use this as a base kind of salsa that I add my signature blend of vegetables and spices to. It saves us a lot of money not having to purchase expensive tomatoes. This salsa is great, I've used it on everything and it adds that great kick you need to a good Mexican dish. It's also incredibly convenient, instead of making your own you can just open up a can real quick.